EYE4U is a Danish company that supplies professional video surveillance solutions. Their clients base consists mostly of retailers, shopping centers, grocery stores, and logistic centers. For those instances, it is crucial that they can keep an eye on what happens in their distribution centers, which are often packed with expensive goods. The video surveillance solution serves not only as a safety measure against burglary but also as an additional tracking method (next to the use of scanners) of what enters and leaves the warehouse. Furthermore, the software also reports visitor flows and provide insightful analyses and statistics and needs to be as secure as possible. As a ‘total supplier’, EYE4U not only delivers the necessary hardware (camera’s, server towers, etc.) and installation but also the surveillance software that allows their customers to monitor their system. 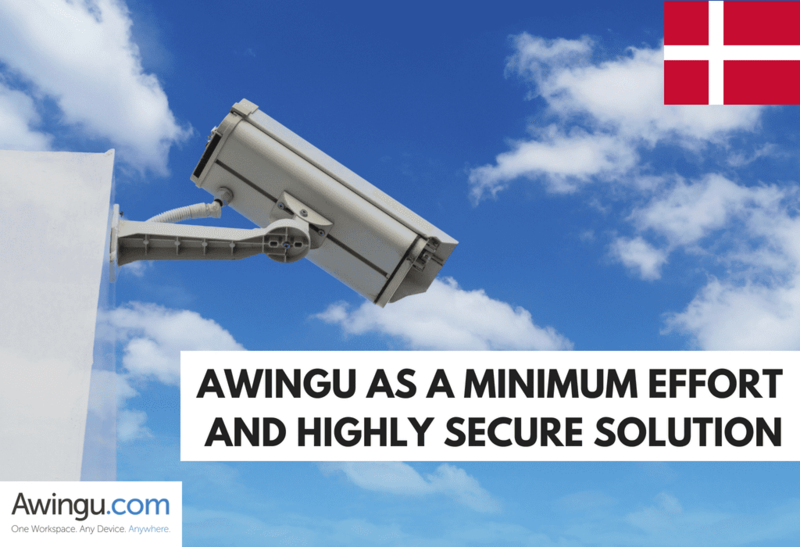 They chose Awingu as an added and highly secure layer to connect with that software, together with the added benefit of providing access to their surveillance system from any device. Read more about how Awingu focuses on security via this page.